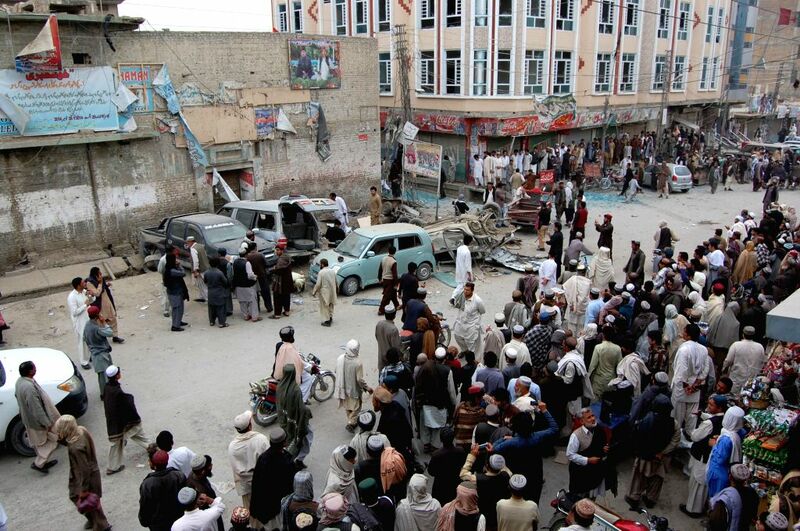 CHAMAN, Feb. 22, 2015 - People gather at the blast site in Chaman district of Balochistan province, Pakistan, Feb. 22, 2015. 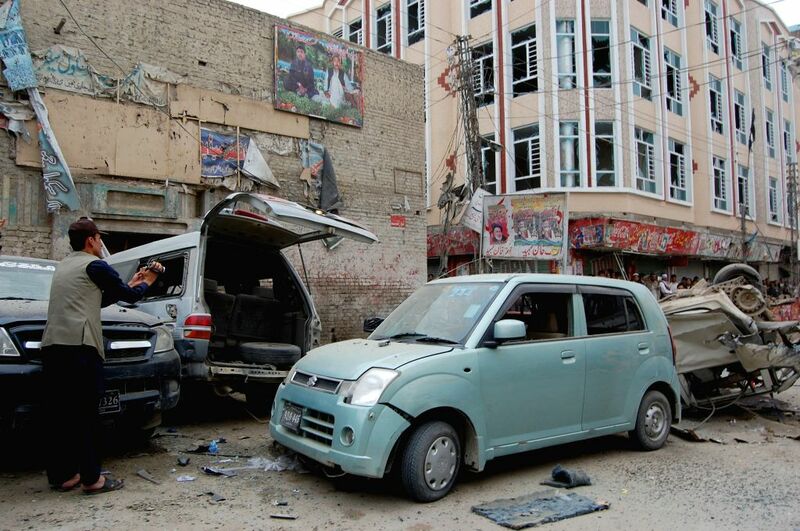 An eight-year-old boy was killed and eight others injured when a bomb went off in a market area in Pakistan's northwest Chaman district on Sunday afternoon, local media reported. A man films the blast site in Chaman district of Balochistan province, Pakistan, Feb. 22, 2015.